When was Ben Ezra Synagogue built, and where is it located? 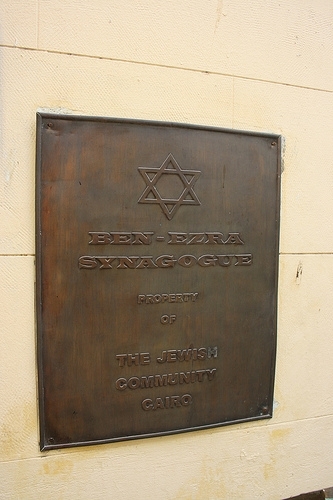 Located deep in the winding alleys of Coptic Cairo, Ben Ezra Synagogue is the oldest Jewish temple in Cairo, dating from the 9th century AD. 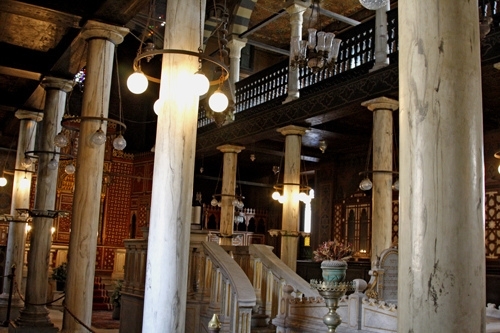 Like almost all of Egypt’s synagogues, it is simply a tourist attraction today following the departure of nearly all of Egypt’s significant Jewish community during the 1950s after the founding of Israel and the Free Officers’ Revolution, but this site still holds great importance in the contemporary history of Judaism. 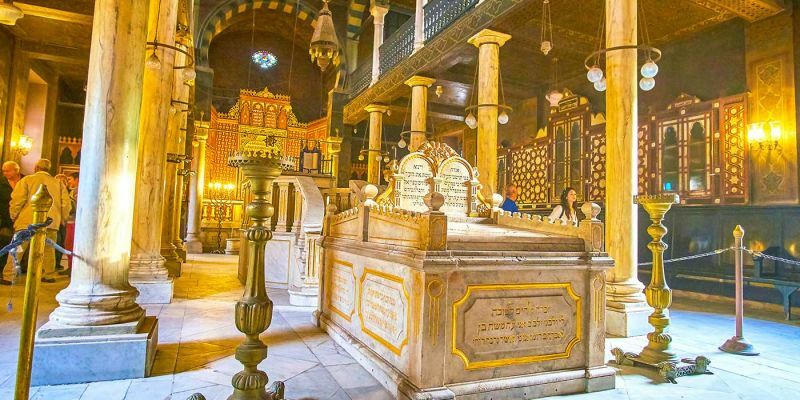 The 19th-century discovery a huge cache of documents, the synagogue’s treasury, which recorded the history and transactions of Cairo’s Jewish community since the 11th century, provided the most complete account of medieval Jewry anywhere in the world. These documents, however, are now held at Cambridge University in England. Two separate myth state that the synagogue is built on the site where the pharaoh’s daughter found Moses hidden in the reeds of the Nile or on the site of the Temple of Jeremiah. 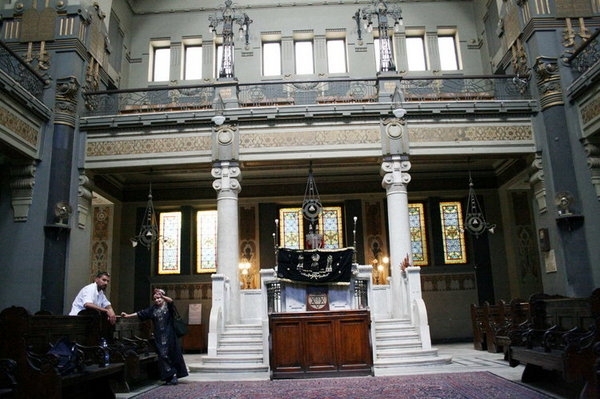 According to Encyclopedia Britannica, a synagogue is best described as a place where the Jews do their prayers. Also, back in old Greek times, Synagogue means the place where the Jews receive the religious teachings and the place of worshipping God. 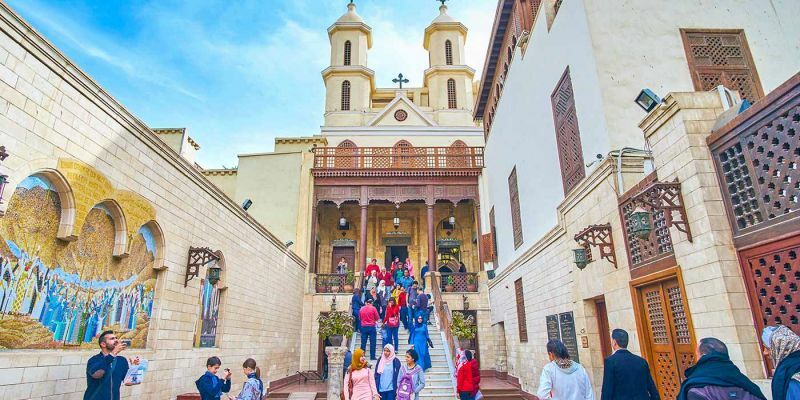 The Synagogue of Ben Ezra in Cairo was originally known as El-Shamieen Church, and it is located today behind the famous Hanging church in the area of old Cairo. The Synagogue once had an old copy of the Old Testament, and it is believed that the prophet Ezra or Al-Azir had written it. It is also believed that the site of the Synagogue is where the box of Baby Moses was found and taken by the wife of the pharaoh at that time. 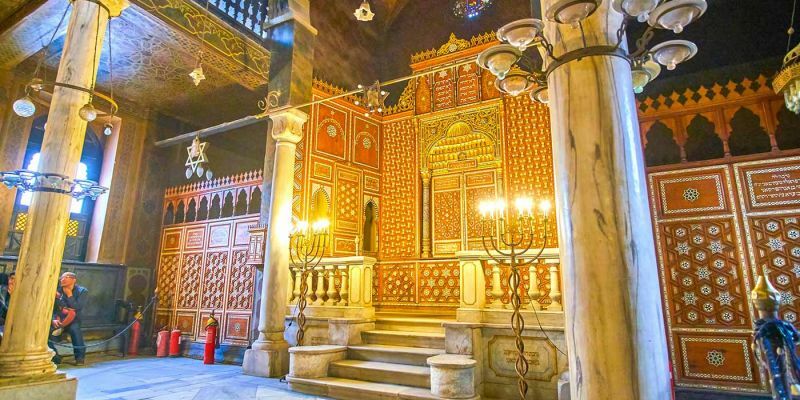 The Synagogue of Ben Ezra was originally a Christian church that the Christians sold to the Jews, in 882 A.D to be able to pay the annual taxes imposed by the Muslim rulers at that time. As a consequence, Abraham Ben Ezra, who came from Jerusalem during Ahmed Ibn Tulun’s reign, bought the church for 20,000 dinars. 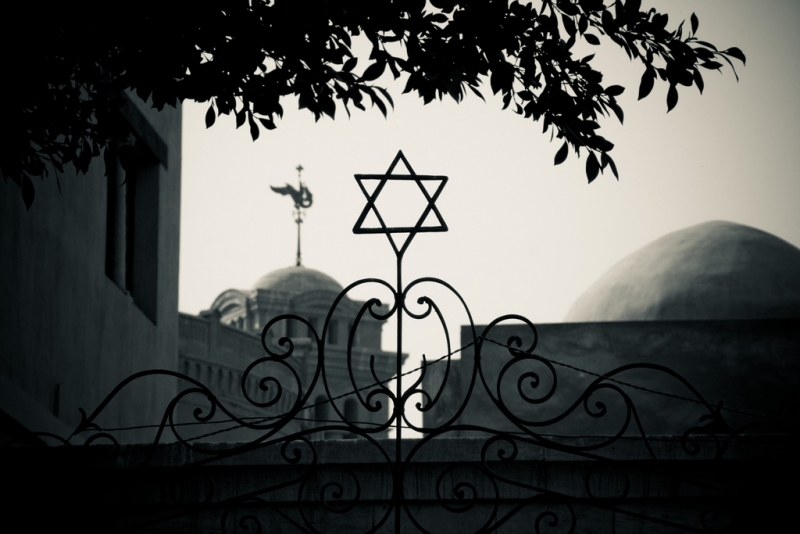 Throughout the past centuries, the Synagogue received regular restorations and renovations. The building that exists now dates back to 1892 after the original collapse. It was built in the shape of a basilica or a rectangular shape, consisting of 2 floors. 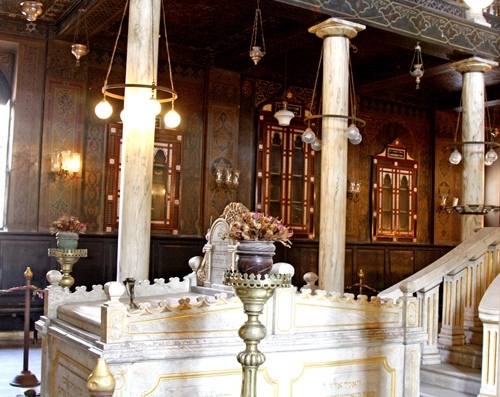 The first floor is dedicated to the men while the second one is dedicated to women, and the entrance is located on the north side.